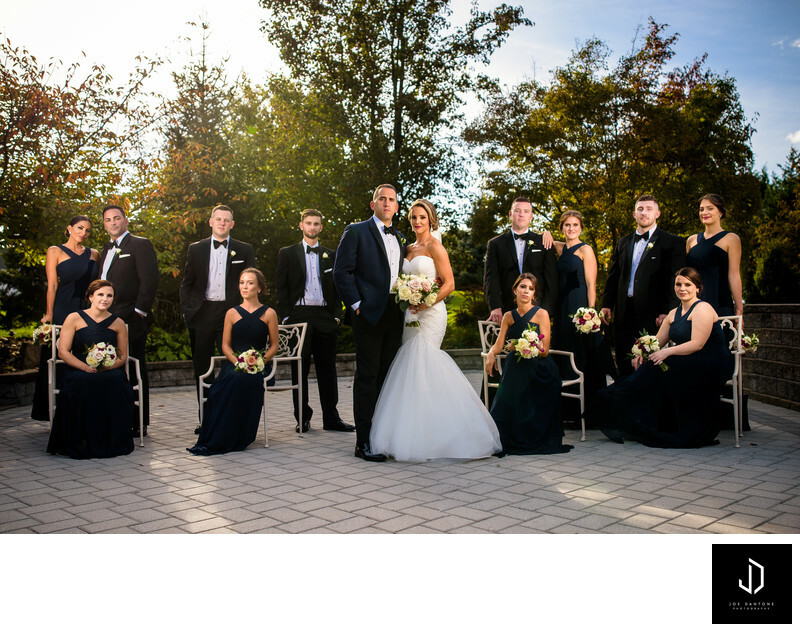 This wedding photo is taken at Windows on the water at Frogbridge in Millstone, NJ of the bridal party just before the reception began. Windows on the water is a beautiful setting to have a wedding. From the patio area with surrounding gardens, and the tall trees that surround the lake there are so many great photo opportunities here. Location: 7 Yellow Meeting House Rd., Millstone Township, NJ 08510.